First is the Illamasqua Hydra Veil primer. This is actually my holy grail primer - you can read more about it in my full review here. It's honestly like a glass of water for your skin, and it's hydrating qualities mean it's a great base for makeup, and believe me when I say this ensures makeup stays on all night! The second makeup product is the Laura Gellar highlighter in Gilded Honey. I was so so excited to hear this was in the box as I've always wanted to try it! 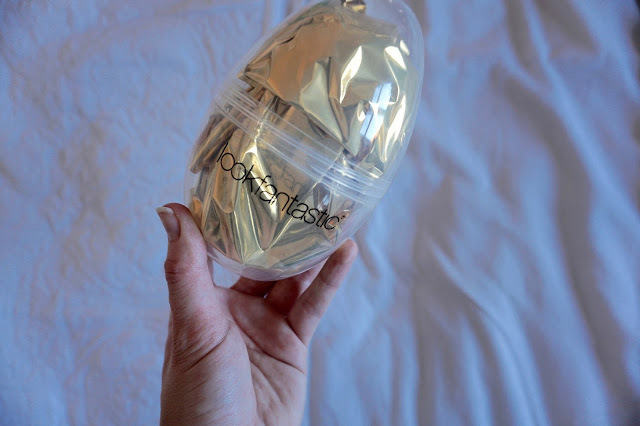 It's definitely a cult favourite product, providing a gorgeous golden glow to the skin - and if you're a regular reader you'll know I'm already highlighter obsessed! Keep an eye out for this popping up on my Instagram very soon. Thirdly, the Talika Lipocils Ink brow growth and makeup pen is included in the box. Mine is in the shade Brown (I believe this is the only shade included) and claims to stimulate eyebrow growth whilst also enhancing them with makeup. 20 years of research went into making this product, so I'm intrigued to try it, although I'm concerned the brown shade may be too red for my brows, but I will let you know! It comes in a pen form, and promises to be waterproof and sweat proof so may be good for holidays or the gym. However, I do have micro bladed brows so I may not be the best judge! The first skincare product included is the Algenist Ultimate Anti-Aging Cream. 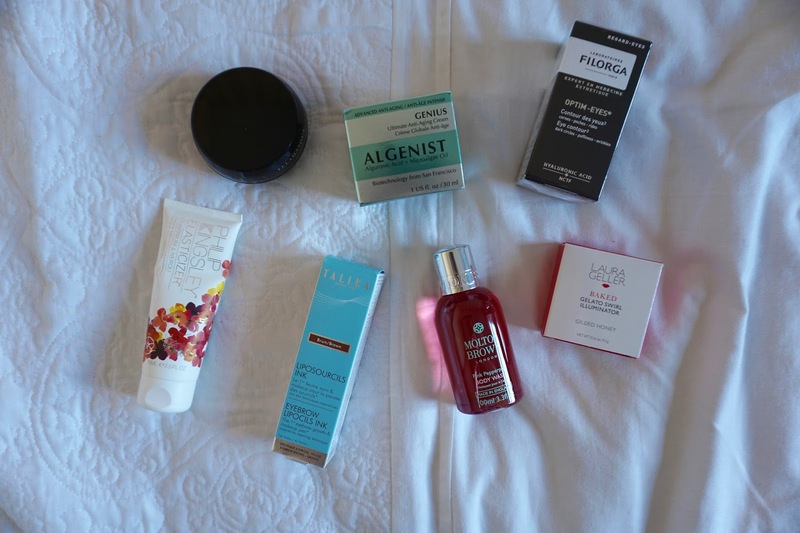 Now, at 20, I may not be the best to review it's anti-aging properties, however, it also promises to brighten the skin (I'm always looking for ways to add more glow!). It contains Capric Triglyceride and Hydrogenated Polyisobutene which are essentially oil substitutes, so you get all the benefits of oil (like maintaining elasticity and preventing water loss) without clogging the skin, so great for anyone with oily, sensitive or acne prone skin. It also contains Alguronic Acid, which is essentially a mix of algae extracts which claim to have anti-aging benefits. Secondly, you get the Filorga Optim-Eyes eye cream. This also contains Capric Triglyceride, along with hyaluronic acid which helps to retain moisture and therefore smooth and soften wrinkles or fine lines. It also claims to reduce dark circles by promoting the elimination of pigmented residues, and also reducing puffiness by increasing circulation to reduce swelling. Will definitely be interesting to try this one out! I thought I'd round off with the final two sections. In body care, you get the Molten & Brown body wash in Pink Pepperpod. I love a beautifully scented body wash and this smells so fresh for spring. Plus, as it is travel size, will be great to take away with me on my trips this year. And the final product in the box is the Phillip Kingsley Elasticizer in the limited edition Geranium and Neroli scent. I have always loved this hair mask and have used it for years now. It makes my hair so soft and more manageable. This contains Castor Seed Oil helps to retain moisture and prevent the scalp from drying, as well as preventing hair loss. Alongside this, Propylene Glycol also helps to soften the hair to make it easier to brush through. 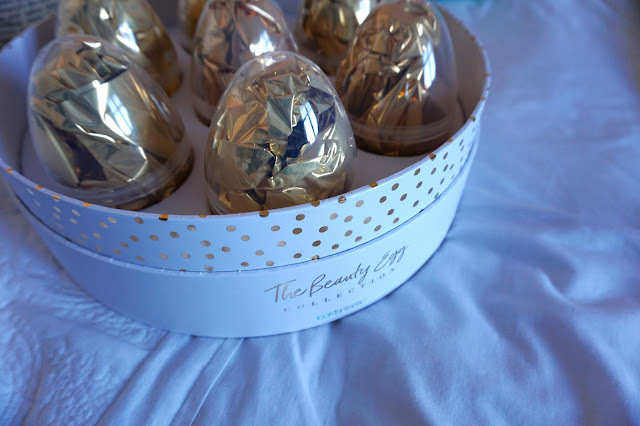 So that's my round up of the amazing Look Fantastic Beauty Egg! The link to buy is here. Are there any products in there that you're eager to try? Let me know what you think in the comments.